AraabMuzik isn't letting a little thing like getting shot stop him from dropping a new compilation. The beatmaker was hospitalized a month ago after taking a bullet when he was a bystander in an attempted robbery, but now he's bouncing back with The Remixes, Vol. 1, due out digitally on July 9 via Ultra Music. By the looks of things, this isn't a typical remix album, since it finds the feature performer remixing other artists' material (rather than vice versa). 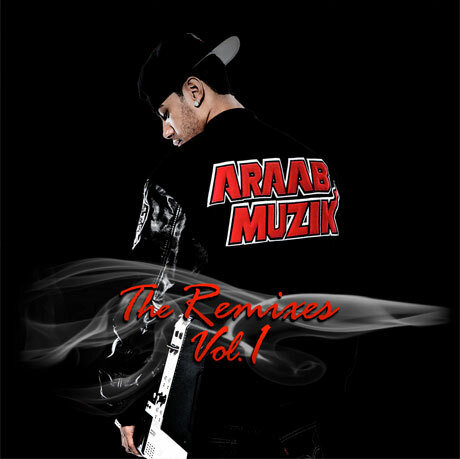 It includes remixes of various acts on the Ultra Music roster, plus two originals by AraabMuzik. One of those originals is a densely rhythmic instrumental synth track called "Keep It in Motion." Stream that song below along with a wobbly, slow-moving remix of "Sierra Leone" by Mt. Eden. The album cover is above.